For those who suffer from acid-related conditions like erosive esophagitis (EE), ulcers, and gastroesophageal reflux disease (GERD), you’re probably very familiar with proton pump inhibitors (PPIs). PPIs are used to reduce the production of acids in the stomach. Millions of Americans take PPIs—some of the most common being Nexium, Prilosec, and Prevacid—and recent studies show a link between these drugs and an increase in health risks like kidney disease and heart attack. If you’ve taken PPIs such as Nexium, Prilosec, or Prevacid and have experienced any health-related side effects, contact the drug injury attorneys at Long & Long Attorneys at Law today at (251) 432-2277 for your free case evaluation. We happily serve those who live in and near Mobile, Alabama. Proton pump inhibitors are drugs used to reduce acid production in the stomach by blocking the enzymes in the walls of the stomach where the acids form. These acids contribute to the formation of ulcers, as well as to a host of other gastrointestinal ailments, and PPIs are used to treat the resulting irritation and inflammation of the esophagus and throat. Due to the successful marketing campaigns of AstraZeneca, manufacturers of Nexium and Prilosec, and Takeda Pharmaceuticals who manufacture Prevacid, it is estimated that 15 million Americans use these three medications. Recent studies have linked prolonged PPI use with chronic kidney disease and failure, a serious medical condition in which your body can no longer filter its blood and control blood pressure, which can be life-threatening if not treated quickly. In the February 2016 issue of Journal of the American Medical Association, results from a study showed that those who took these three medications, and other similar PPIs, dramatically increased their risk of kidney disease by 20 to 50 percent when taken over many years. If you’re suffering from any of the above symptoms it’s advised you see a doctor immediately to check for any major illnesses, including chronic kidney disease. Not only has PPIs been linked to an increased risk of chronic kidney disease but they have also been linked to a host of other serious health illnesses. In recent studies at Stanford University and Houston Methodist Hospital in Texas, researchers have shown that while PPIs are successful at reducing the acids that cause heartburn and ulcers, they also stop the production of acids in all cells, which cause issues of vitamin absorption and affect the body’s ability to rid itself of damaged proteins. 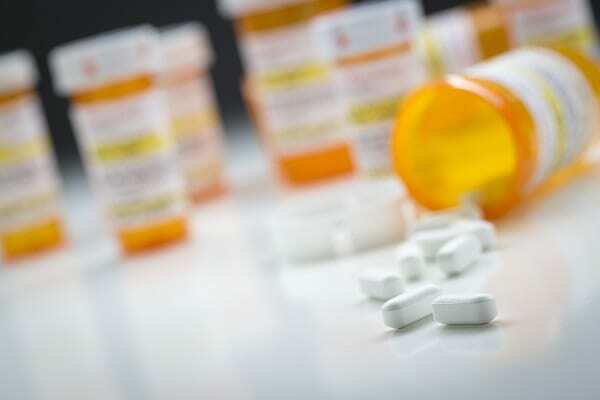 At Long & Long Attorneys at Law we have experience dealing with dangerous and defective prescription drugs and have the knowledge to pursue litigation on your behalf. If you or a loved one has been taking a PPI and have experienced any of the symptoms mentioned above, we can help you get the justice you deserve. If you’ve been taking a PPI and are unsure if it has negatively affected you, it’s advised that you seek medical attention to check for any potential kidney problems or other ailments. If you have questions, or wish to pursue a case regarding the use of PPIs, contact us today at (251) 432-2277 to schedule your free consultation. We understand your concerns and work with you to get the compensation you deserve for your suffering. We proudly serve the Mobile, Alabama area.